Invisible Whispers Game: We are offering you a spooky story about Kimberly, a woman who cares about people. She believes that everyone, no matter dead or alive deserves to have decent life and leave this place with dignity. Kimberly is confronted to a very important mission. Simple, no, we don’t agree. This lady arrives at Donald’s house. He is famous in their town as the worst serial killer that has ever happened to their place. People are gossiping that victims’ voices can still be heard from inside the house. Kimberly wants to check this out, because she is worried about the lost spirits. They want to find their real way to home and to let them leave this world with more dignity. Though this might be a little bit morbid topics, still it is a game, and we believe you are going to like it. 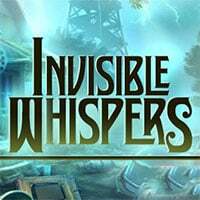 So enjoy and have fun in playing Invisible Whispers Game.